Nothing new is known of the whereabouts of Daniel Savci, a 55-year-old Syriac Orthodox priest from Mor Yakup monastery, abducted yesterday in south-eastern Turkey on his way to a parish church in a village not far from Midyat. 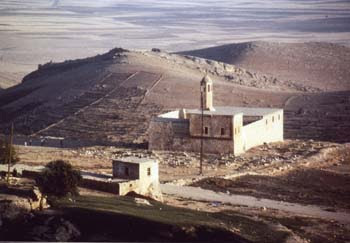 The Mor Yakup monastery is a located in the Tur Abdin or Mountain of the Servants of God area, a fabled Turkish plateau on the border with Iraq, home to the oldest surviving Syriac Orthodox Christian community in Turkey as well as many Kurds. Police is trying to find out where the phone call and text message originated. Despite claims by Turkish media that the PKK was behind the kidnapping or rumours that the priest’s body had already been found, investigations have so far turned up nothing. Kidnappers have not made any further contact. “We know nothing,” said Zeki Demir, secretary general of the Istanbul-based Vicariate of the Syriac Orthodox Patriarchate. So far the latter has not taken any position on the matter. Religion does not seem to play a role in the case. Relations between Christians and Muslims in the area are good. In a region so badly affected by clashes between Kurdish guerrillas and the Turkish army Orthodox priests and imams have urged the population several times to pray together for peace. It is clear though that this is not the first time that Christians in Midyat and eastern Turkey are caught up in the “war” between Turks and Kurds. During the 1980s most Syriac Christians from Tur Abdin fled. They were still 65,000 in the mid-eighties; now they are just 2,500. Despite the fact that the region was their ancestral homeland, they left en masse for Istanbul or emigrated abroad, uncertain about their future and fearing for their life. According to tradition, thanks to the preaching of Saint Jude Apostle who had come to Edessa from Jerusalem after Pentecost, the Semitic branch of Christianity, the one with the least Hellenistic influence, arrived here and prospered. These Christians, who still speak the language that Jesus spoke, continue to live isolated from the rest of the world, far from the country’s nerve centres, held back by a geography that denies them access to easy communications and economic development. In this highly tense area on the border with Iraq, Turkey tried to introduce reforms to promote development. In 2001 then Prime Minister Bülent Ecevit sent a letter to Syriac communities urging Syriac Christians to come back. In the past two years many started hoping that they might come home with financial assistance from the state. In villages around Tur Abdin new houses were built, ready for occupation. But fear has not gone away. In June 2005 three Christians on their way home were involved in a terrorist attack. Luckily, they survived. They were a Syriac Orthodox priest, a German businessman and the mayor of Harabale, travelling by car from that town to Kafro when a remote-controlled bomb blew up in front of them. They were unhurt, but the episode shows that even today someone is trying to sabotage the government’s initiative to get people back home. Although investment and development projects in the region have not been interrupted as a result of ongoing clashes, doubts are emerging about the possibility of different ethnic and religious groups living together. And Father Daniel’s abduction is clearly not a good sign. Who is behind the abduction? No one knows yet. The Syriac Orthodox Patriarchate is treading lightly, trying not to exacerbate tensions. But once again Turkish media show no such restraint.